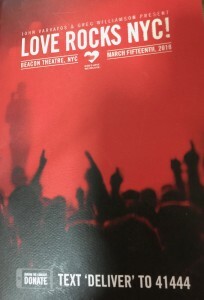 This was an amazing concert to benefit God’s Love We Deliver. The artists that came out to perform for this benefit were so amazing and all in one room. 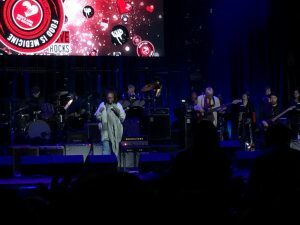 Will Lee was the Music Director for the night’s event and the house band consisted of Paul Shaffer, Steve Gadd, Shawn Pelton, Eric Krasno, Larry Campbell and Jeff Young. 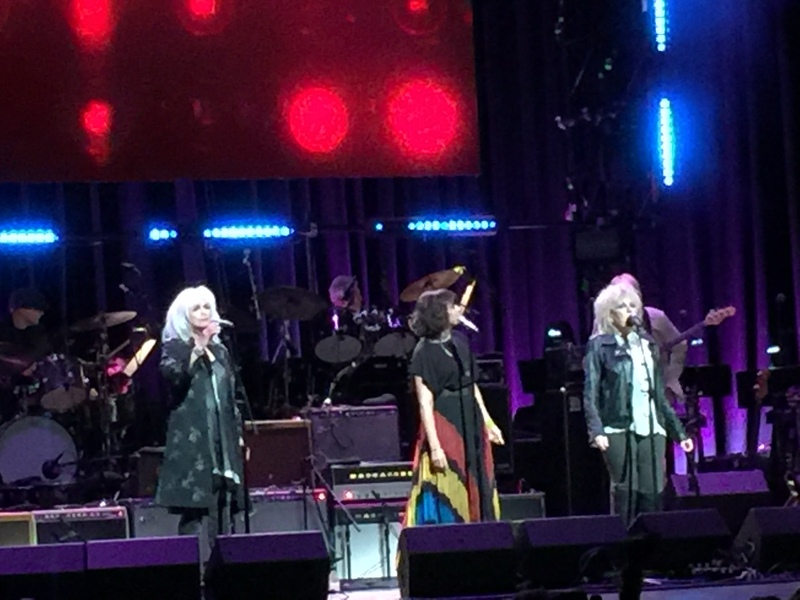 We Deliver singers: Elaine Caswell, Alecia Chakour, Dennis Collins, Chrissi Poland, Nicki Richard, Mark Rivers. 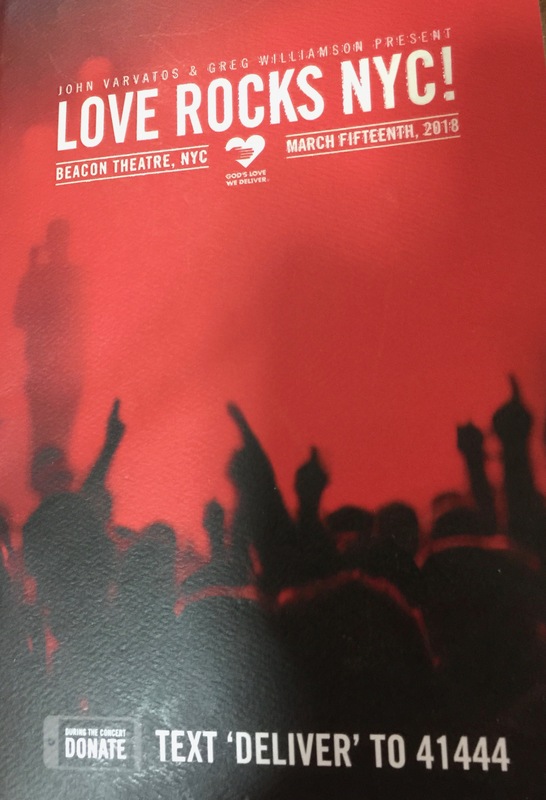 God’s Love horns: Evan Barker, Ron Blake, Joe Fiedler, Aaron Heick, Jim Hynes and Andy Snitzer. 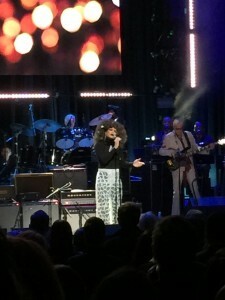 Andra Day performed Rise Up. She asked everyone to stand for this. 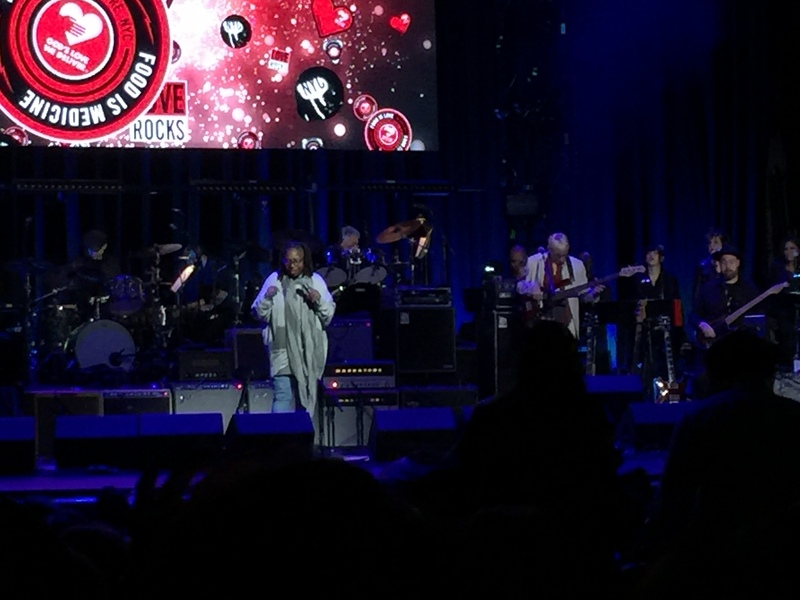 Two MCs for the night…Whoopi Goldberg started it off. 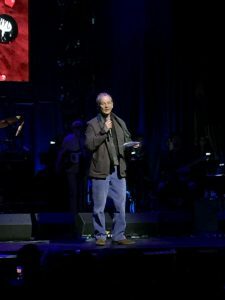 Bill Murray did the second half with results of the basketball games. 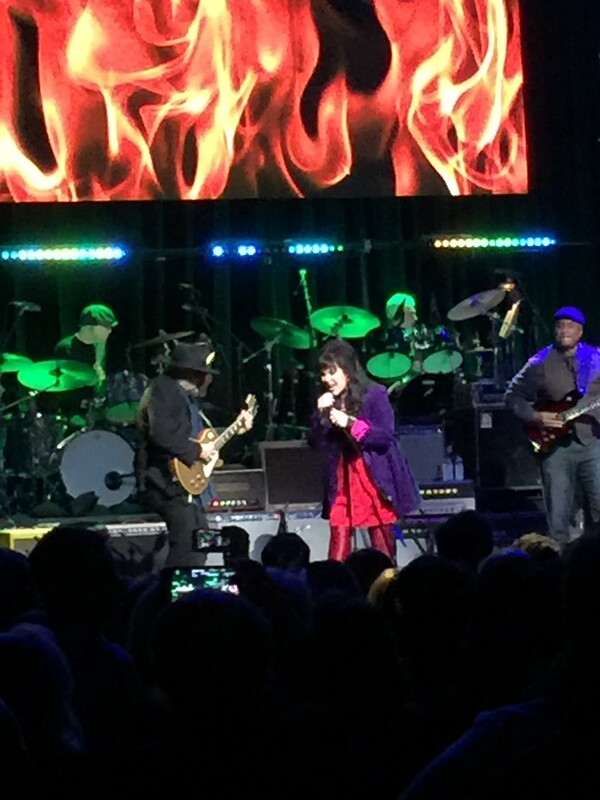 Here is Ann Wilson (Heart) performing with guitarists Bernie Williams (NY Yankees) and Jimmy Vivino (Conan). 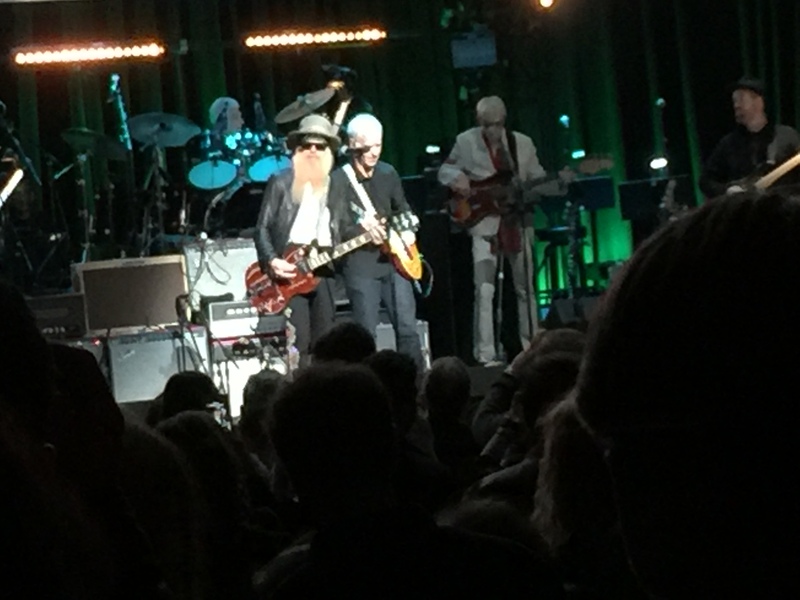 Billy F Gibbons (ZZ Top) with another guest guitarist, John McEnroe (Tennis Star). 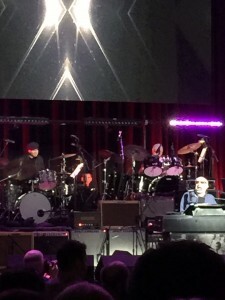 Donald Fagen (Steely Dan) singing Asia with these two amazing drummers, Steve Gadd and Shawn Pelton. 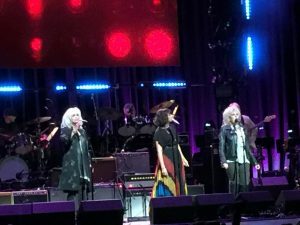 These 3 lovely ladies did solo singing and then got together to perform “When Will I Be Loved.” Emmylou Harris, Norah Jones and Lucinda Williams. 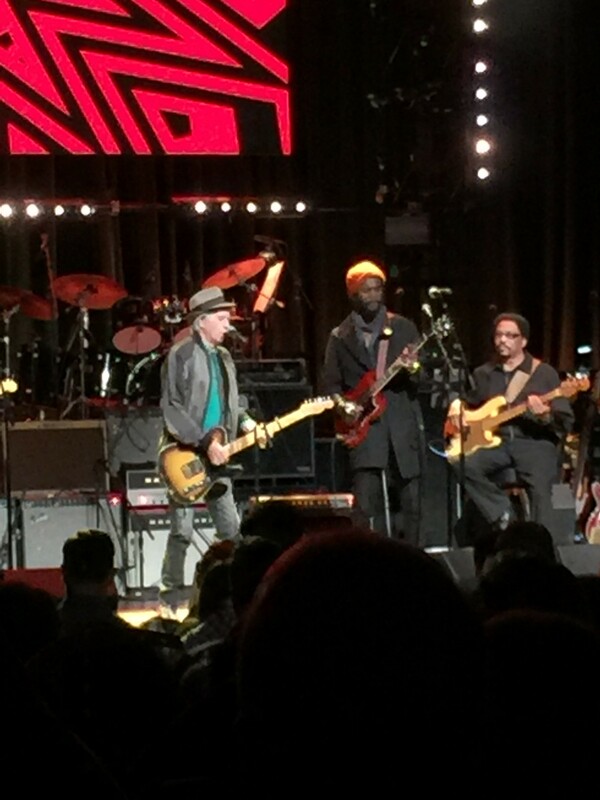 Here is Keith Richards doing “Happy” with help from Steve Jordan on drums and singer Robert Cray. 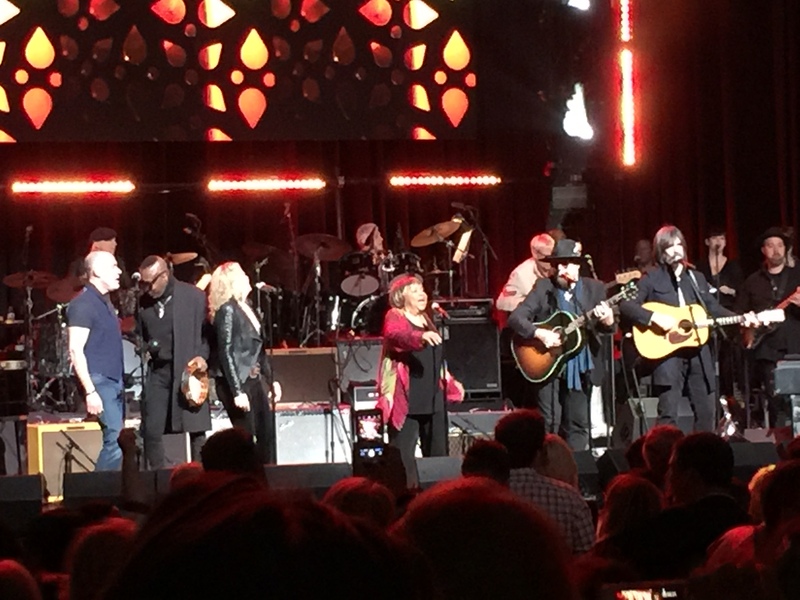 One of my favorite performances of the night…Mavis Staples singing “Respect Yourself.” On stage with a little help from Marc Cohn, Steve Jordan, Jimmy Vivino and others. Gary Clark Jr., Ziggy Marley, Warren Haynes, Trombone Shorty, The Bacon Bros, Valerie Simpson, Nona Hendryx, Jimmie Vaughan and a few more were part of the night’s show at The Beacon Theatre. 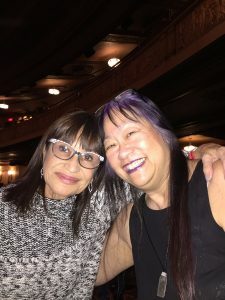 To my surprise, someone taps me on my shoulder and I couldn’t believe that it was Carol Gadd. I haven’t seen her since 2008 at my first gallery showing in Scottsdale, AZ. 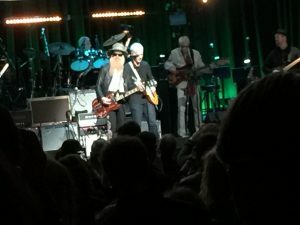 Thank you Cathy Shaffer for taking me to this. Music is my universe and it heals my soul!